Easter is one of my favourite holidays. (Of course I say that about Halloween and Christmas, too). 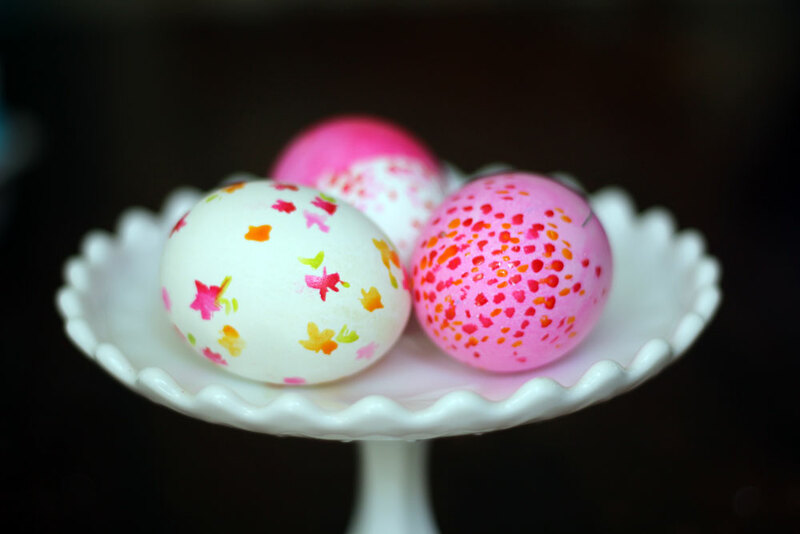 I do love decorating eggs. Our whole family participates.... my mom, my dad, my sister, Paul, the girls. I love that we all sit around the table together. I love the dye. I love plunking the egg in and lifting it up to see how it turned out. I love that everyone's eggs turn out so differently. I love that Easter is shiny and pastel. I even love it on Easter morning when the eggs I made, hidden by the Easter Bunny, are found again. Very exciting. 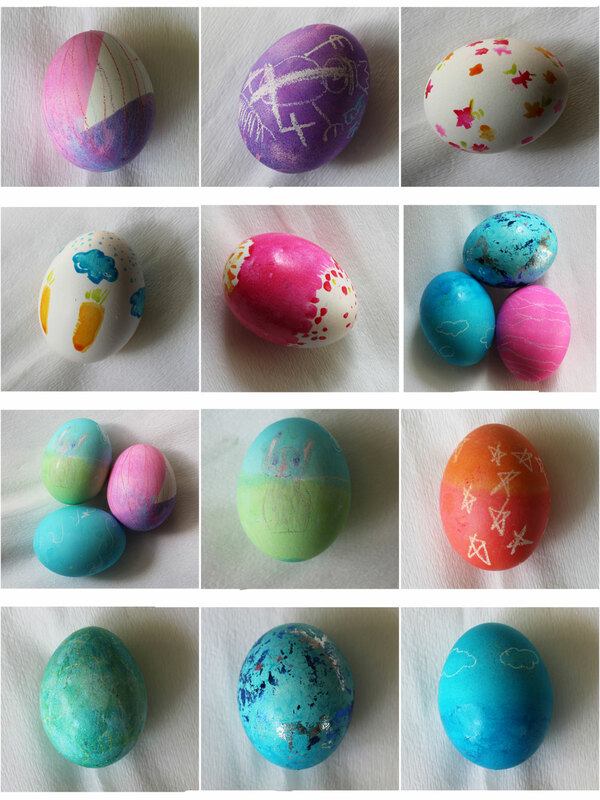 Here are some of my favourite eggs from this year.